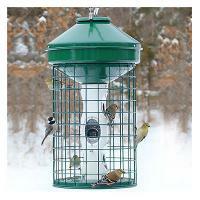 This feeder is strong, well built, easy to fill and a pleasure to own. 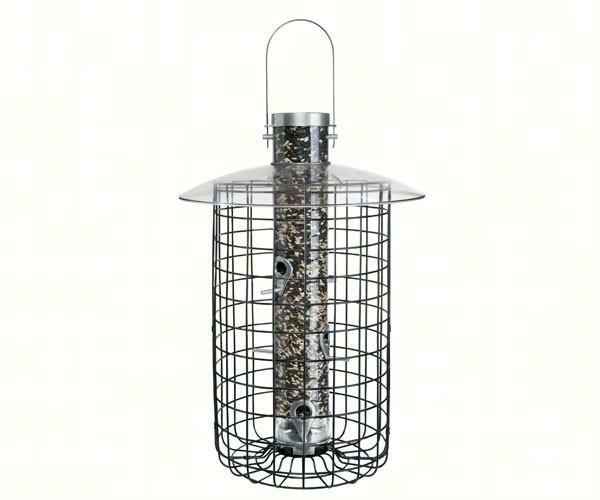 After six weeks our Central Texas squirrels have still not compromised the Droll Yankees Domed Caged feeder but they are working on it. 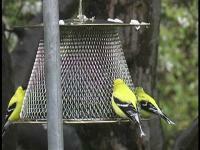 The outer cage is made of plastic coated steel wire. The squirrels have almost gnawed all of the plastic coating off of the wire. I believe their strategy is to wait for the uncoated steel wire to rust through during our rainy fall and winter. A heavier gage, uncoated stainless wire would have been a better choice. However, the squirrels have not attempted to gnaw through the base or cover of the feeder, instead electing to go for the more direct approach of attacking the mesh. 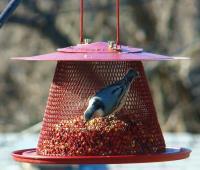 Mounting the Droll Yankees Domed cage feeder was another challenge, it took several trips to the hardware store. 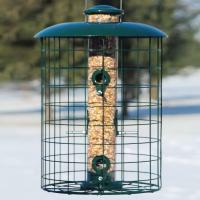 Our old bird feeder had an external, "universal" clamp which would work for any reasonable range of pole size without having to figure out how to adapt to a fixed, female thread in the base of the feeder.